The programme features a review of Phoebe Waller-Bridge's new series of Fleabag. Plus Nikki Sixx speaks about the Motley Crue biopic and there is analysis of the Oscars. 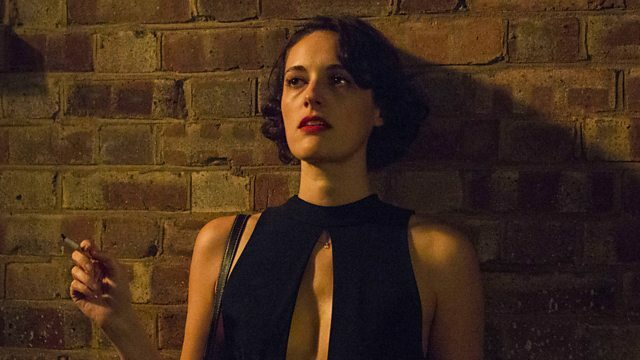 The return of Phoebe Waller-Bridge’s black comedy Fleabag: we preview the new series of BBC3's biggest success. The main character continues to battle with her family and her own self-destructive behaviour, but can Fleabag be as fresh and surprising as before? And because it'll be broadcast weekly, one episode at a time (after the news on BBC1) rather than being released as a box set for bingeing), we consider how viewers' watching habits are changing. American glam metal band Mötley Crüe sold more than 100 million albums in the 80s and the members led the ultimate debauched rock and roll lives. Now there's a Netflix biopic - The Dirt. We speak to bassist Nikki Sixx (who overdosed several times and once was even declared dead) and the band's manager Allen Kovac about their reputation and how they reflect on their time as "the world’s most notorious rock band". Each year the Oscars throw up some surprises and there were quite a few raised eyebrows when last night's Best Picture was announced. Did Green Book really deserve to be crowned the best film of 2018? The writer and historian Colin Grant and film critic Larushka Ivan-Zadeh take us through the events of the night.